Crockpot Orange, Honey and Herb Glazed Carrots are a stunning side dish that will be a delicious addition to your holiday or Sunday dinner table. 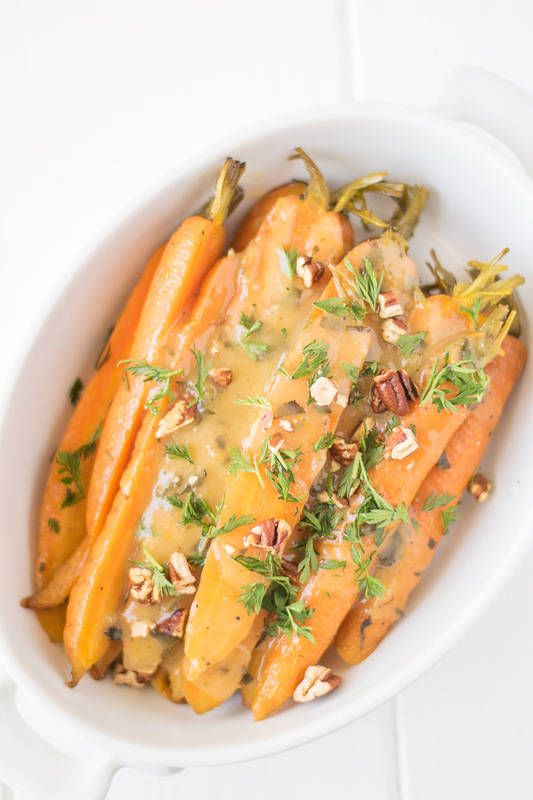 Carrots are slow cooked in butter, orange honey and herbs and finished with crunchy, toasted pecans. One of my favorite items on a holiday table is a bowl of glistening glazed carrots, and this dish is just that. Not only is this dish really easy to make, it is so foolproof that will become your new favorite side dish. Orange and honey pair so deliciously with carrots along with seasonal sage and rosemary, you have a sweet and herby vegetable that is so befitting of a holiday table. Not just a holiday dish, I make this all the time for weekend Sunday dinner. Is there anything more appetizing than a delicious platter of shiny, glazed carrots? 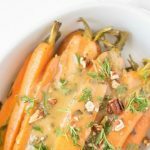 Since the oven is precious real estate when holiday cooking is happening, take some help from my crockpot to make these amazing crockpot orange, honey and herb glazed carrots. 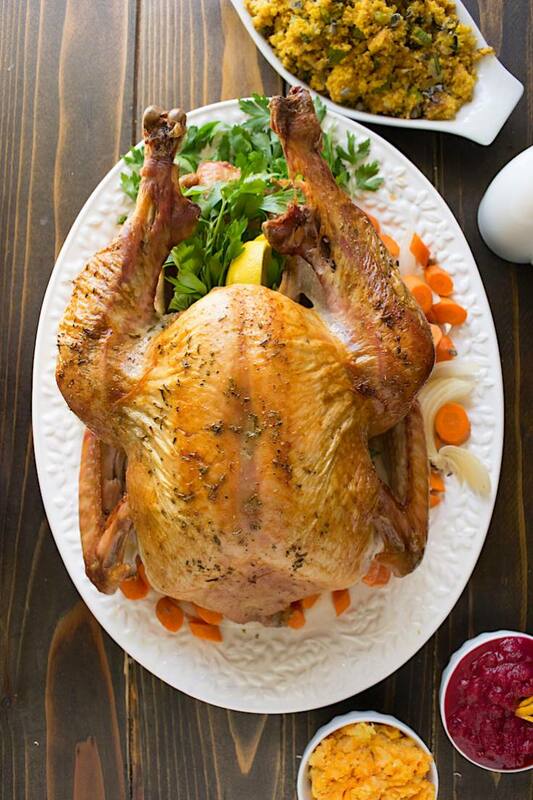 This dish cooks on the counter while your holiday roast is roasting. Enlist the help of your relative who doesn’t cook, they could not mess this up. For this particular recipe, I used carrots with the green tops. I buy these whenever my grocery store has them because they are their flavor is much sweeter. Regular carrots can be used, or for ease of preparation,you could also use a bag of baby carrots that are already peeled. 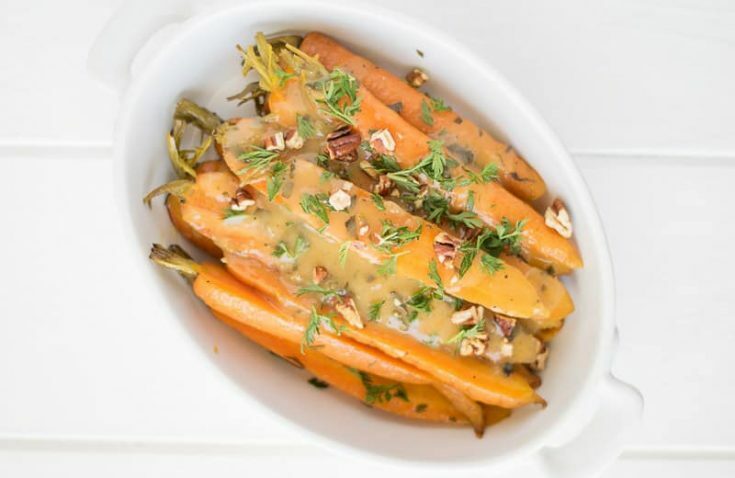 If you’ve tried these Crockpot Orange, Honey and Herb Glazed Carrots or any other recipe on the blog then don’t forget to rate the recipe and let me know how you got on in the comments below. I love to hear from my readers! You can also FOLLOW ME on FACEBOOK, TWITTER, INSTAGRAM and PINTEREST to see daily recipe updates. Crockpot orange, honey and herb glazed carrots are a stunning side dish that will be a stunning addition to your holiday or Sunday dinner table. Add the butter, honey, orange zest, juice, rosemary, sage, salt and pepper to a bowl and whisk to mix well. Add the carrots to the crockpot and pour over the butter mixture. Mix to coat the carrots. Put on the lid and cook on high for 2 hours, or low for 4 hours stirring every hour. For the last hour, leave the lid off so the liquid will reduce and thicken. Add the pecans to a dry sauté pan over medium low heat and toast, stirring often until they smell fragrant. Allow to cool. 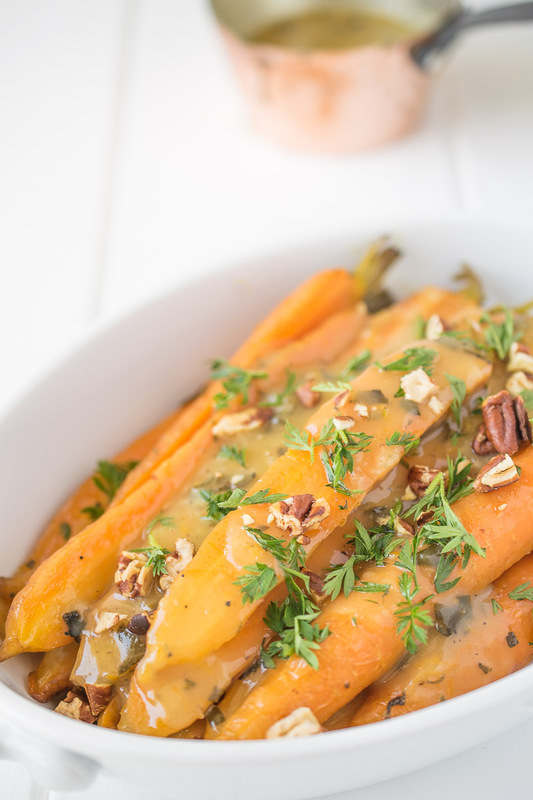 Serve carrots garnished with pecans and parsley. Really good point about the cooker real estate problem Janette. I always have that issue and have a terrible time trying to juggle and time everything right! This is the perfect solution – and what a beautiful-sounding side dish! You are SO right, during the holidays the oven certainly is precious real estate! So this is such a genius idea – to make use of the crock pot! Loving the ginger and honey combo too! These look gorgeous! What a great combination! Love the video! I make honey ginger carrots frequently but never in the crock pot! Good to know! I’m going to add ginger next time. Thank you Linda. Mmmmm. Carrots are one of my favorite veggies. Love the idea of doing them in a crockpot. Bet this would be great with parsnips, as well. I’m usually not excited about carrots, but your recipe looks amazing with the fresh herbs! Wow! These look so good! Your pictures make me want to grab one right off the screen! 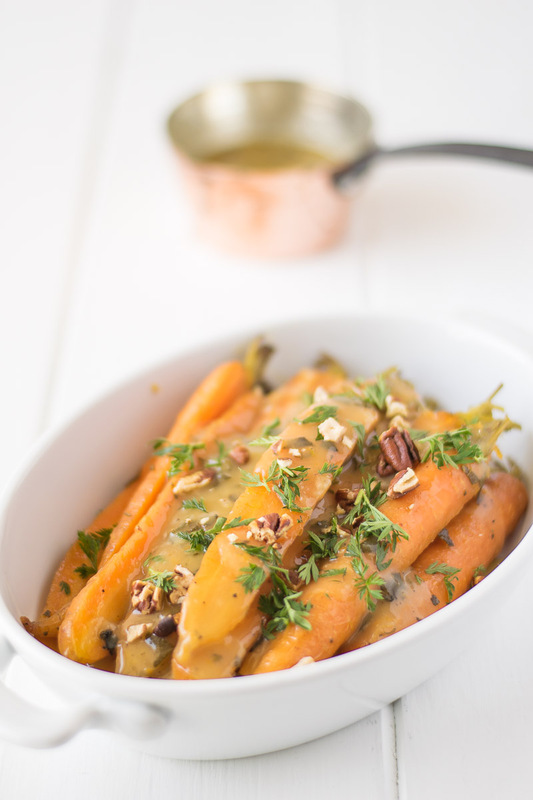 Oh I love carrots and these sounds so delicious….. love the crumbled pecans on top and the honey orange sauce sounds yum.